Janet Brooks Petitt obituary. Carnes Funeral Home. 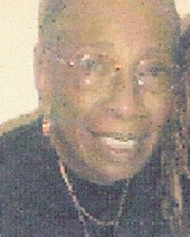 Janet Petitt is survived by her sisters, Louise Brooks Sheppard, Joyce Brooks Mack, Betty Jean Brooks Vincent, and Glenda Brooks, her grandchildren, Richard Berry Jr. and Vonetta Berry Jenkins, and a host of nieces and nephews and great grandchildren, and friend, Cheryl Cheshe “Snapper” Langford. She was preceded in death by her parents, Louis and Louise Brooks, and her six brothers, Clifford Brooks, Allen Brooks, Louis Brooks, Hillary Brooks, Ralph Brooks, and Charles Brooks and her daughter, Jackie Ann Berry. She enjoyed a full career in nursing for over 60 years, working first as licensed vocational nurse, then as a registered nurse hospital, and private duty nurse at University of Texas Medical Branch (UTMB) in Galveston, TX. Mrs. Petitt also spent several years as a charge nurse at UTMB-Texas Department of Corrections and spent several years as a nursing instructor at Galveston College. Mrs. Petitt enjoyed using her knowledge to help many nurses become better and even continued to educate nurses and doctors even to the end as a patient. Janet gave her all to serve others and to help her family. Her homegoing will be held on August 25, 2018 at 3 p.m. at Carnes Funeral Home in Texas City, TX. The family will have a private repast after the homegoing services.